The flow of financing and acquisitions involving cross-border marijuana companies is expected to pick up after new risk-disclosure rules were unveiled last week that provide greater clarity for Canadian companies with U.S. operations, said analysts and executives. The updated requirements from the Canadian Securities Administrators (CSA) were anticipated after the regulatory group said in January it would review whether its disclosure-based guidelines were appropriate after U.S. Attorney General Jeff Sessions’ decision to revoke the Cole Memo, a key marijuana safeguard. The CSA’s new rules more or less allow companies to continue operating as they had been, but with stricter disclosure standards. 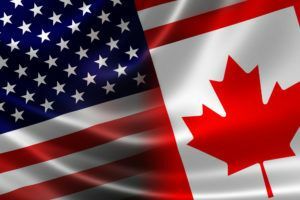 “I think this is conclusive,” said Marc Lustig, CEO of Ottawa-based CannaRoyalty, which invests in Canada and U.S.-based cannabis companies. CannaRoyalty is one of about a dozen companies traded on the Canadian Securities Exchange (CSE) that have operations in the United States. The new notice also reiterated that different stock exchanges can make their own judgment when applying their listing requirements. For example, the CSE allows its issuers to do business in the United States where cannabis is regulated at the state level – provided they meet strict risk-disclosure requirements. But such opportunities are off-limits for cannabis companies traded on the Toronto Stock Exchange and the TSX Venture Exchange. The CSA’s move last month caught Canadian companies off-guard, making it harder to negotiate cross-border transactions and secure financing. Lustig said the resulting uncertainty was “basically a no-fly zone” for financing. “If regulators are reviewing their policy, how could anyone who has U.S. assets expect to file a prospectus?” he asked. Soon after the CSA’s announcement, the Clearing and Depository Services (CDS) – a trading clearinghouse owned by TMX Group – also said it signed a memorandum of understanding with Canada’s top stock market operators. TMX Group is the parent of the Toronto Stock Exchange and the TSX Venture Exchange. The CDS memo spelled out the responsibilities of individual exchanges when reviewing the status of their listed companies. Discuss statements made by federal authorities or prosecutors regarding the risk of federal cannabis laws enforcement. Outline risks that third-party service providers may suspend or withdraw services. Outline risks that American regulatory bodies could impose restrictions on a company’s ability to operate in the United States. Disclose if legal advice has not been obtained regarding compliance with applicable state regulatory frameworks and potential exposure and implications. Quantify exposure to U.S. marijuana-related activities on their balance sheet and operating statement.